Lock in a great price for Kimpton Everly Hotel – rated 9 by recent guests! Oatmeal at Jane’s was first class. Bar atmosphere was terrific too. 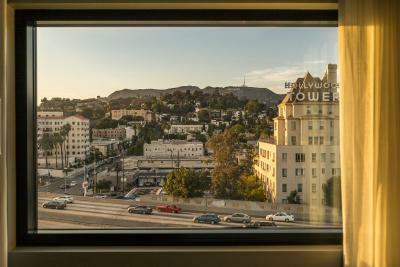 the room was beautiful, I had a view of the Hollywood sign, the room has everything you could possibly want or think is. I was given early check in too. Fantastic room, best staff ever encountered who took a personal interest in what we weee doing and how we liked LA. Pool area gorgeous and wait staff there super attentive. Felt like VIPs. Everyone went above and beyond to help us when we had a medical emergency . We cant wait to come back here. Everything was beautiful and well maintained. 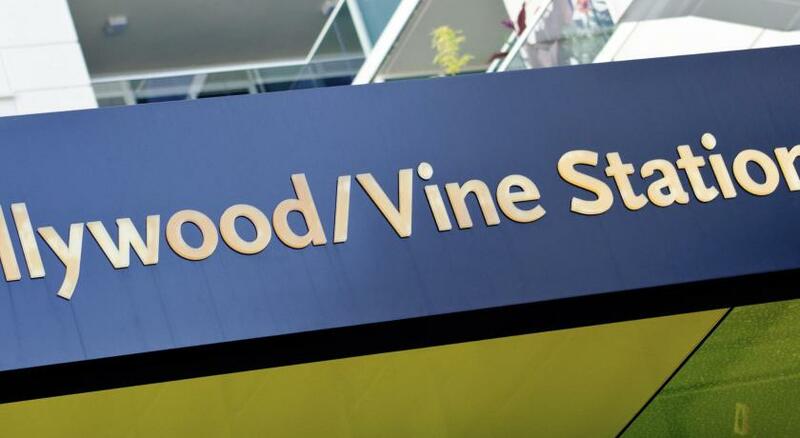 Very modern, great staff, comfy beds and great location, just off Hollywood Boulevard! Great room. The bed was very comfy and my husband was very pleased with the TV offerings. Bathroom was also very nice. Bed is like a cloud and the bathroom is gorgeous. The valet service is exceptional. 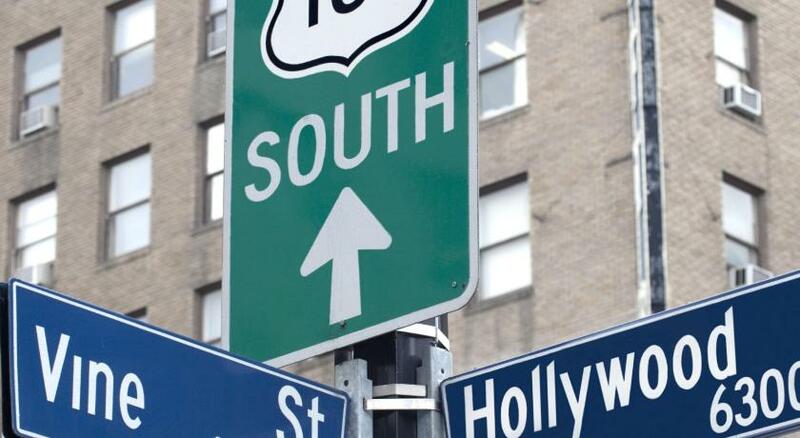 A five-minute walk to the Walk of Fame. The room was clean. The food at Jane Q (the restaurant in the hotel) was tasty and delicate, but the portion was not as big, and the it was a bit pricy. There were detox water, fresh fruits and hot chocolate provided in the lobby. Also, there was a complementary wine served every evening. Kimpton Everly Hotel This rating is a reflection of how the property compares to the industry standard when it comes to price, facilities and services available. It's based on a self-evaluation by the property. Use this rating to help choose your stay! 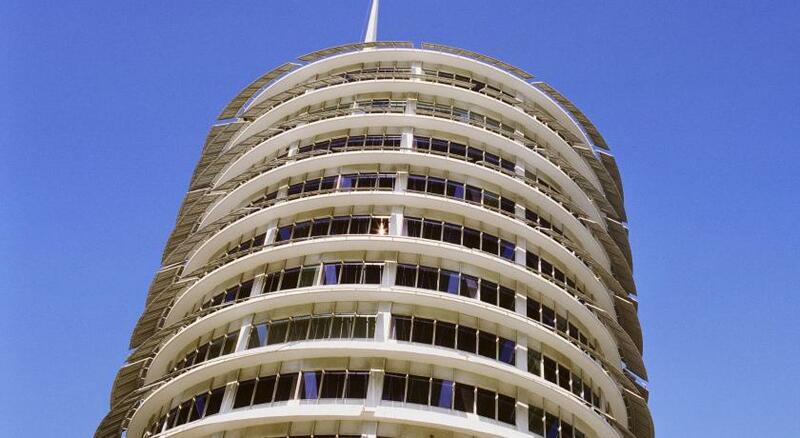 One of our top picks in Los Angeles.Set in Los Angeles in Hollywood, a 2 minute walk from the Capitol Records Building, Kimpton Everly Hotel features a year-round outdoor pool. 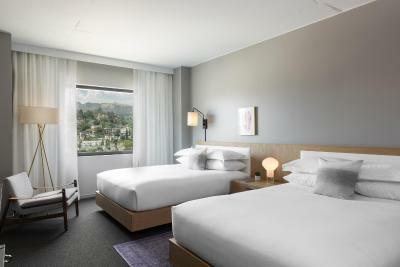 The hotel offers a terrace and views of the Hollywood Hills, iconic Hollywood Sign and downtown LA, and guests can enjoy a meal at the restaurant Jane Q or a specialty cocktail at Ever Bar. Each room at this hotel is air-conditioned and is equipped with a flat-screen TV with cable channels. Certain rooms feature a seating area to relax in after a busy day. All rooms are equipped with a private bathroom. For your comfort, you will find bathrobes, free toiletries and a hairdryer. You will find a 24-hour front desk at the property. The property offers a complimentary wine hour from 5:00 until 6:00 every day. You can play pool at the hotel. The hotel also provides free use of bicycles. 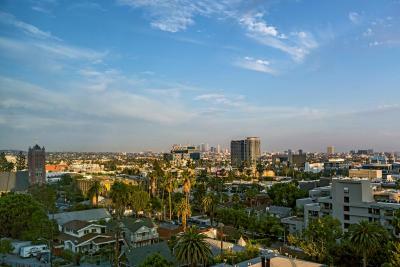 The nearest airport is Bob Hope Airport, 7 miles from the property. 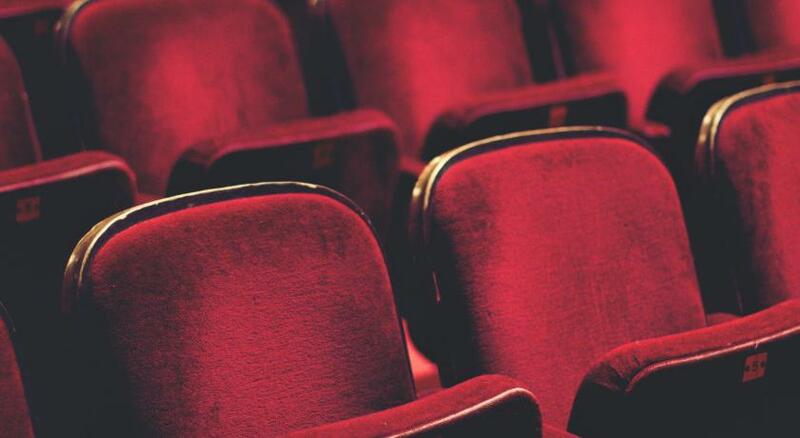 The Hollywood Walk of Fame and Dolby Theater are 1 miles from the property. 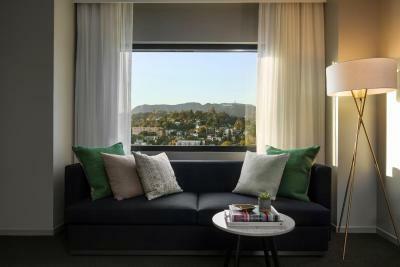 When would you like to stay at Kimpton Everly Hotel? This double room features a sofa, mini-bar and cable TV. Private parking is available on site (reservation is not needed) and costs USD 41 per day. This quadruple room has a mini-bar, iPod dock and bathrobe. This double room features a soundproofing, bathrobe and iPod dock. This double room has a soundproofing, sofa and iPod dock. This double room has a soundproofing, air conditioning and bathrobe. This studio features air conditioning, spa bath and iPod dock. House Rules Kimpton Everly Hotel takes special requests – add in the next step! Kimpton Everly Hotel accepts these cards and reserves the right to temporarily hold an amount prior to arrival. For all Prepaid Advanced Purchase reservations, the Credit Card used to secure the booking must be presented at time of check-in and match the guests name on the booking. If the card is not present the deposit will be reserved and a new method of payment will be required at time of check-in. Min: The bed sheets were a little worn, mine had a few holes in them. Events at hotel weren't really well advertised, no leaflets and such in your room with info, only for the bar/restaurant. When I arrived I was told at checking-in, that I was just in time for happy hour (free wine) for free wine. If I hadn't been checking in I would never have known. Whilst writing this review I read online that this is available everyday between 5-6pm and they also have free use of bikes, also didn't know! If you do your research before you leave, no problems. Plus: Bed was really comfy and choice of pillows to suit everyone. Great views and no sound problems from neighbouring rooms. Free tea/coffee at breakfast time. Staff super friendly. Great location, very nice view and overall a really great experience! The space for valet is a bit dangerous. The bathroom was amazing! Lovely big bath and the toiletries were divine. Excellent service from staff and we were treated to some champagne and chocolates to celebrate our wedding. I did not feel welcomed from the moment I pulled up to valet with a “corolla”. I felt a snobby look the entire time I was there. It would be nice if in room tea/coffee along with water kettle is provided though it was made available on request. the bed was extra comfy n so were the pillows.The front desk extremely helpful n friendly.our overall experience at the property was excellent.would definitely stay there again. The location wasn’t ideal as I didn’t spend much/any time in Hollywood. But Uber’s were cheap and quick to the destinations I was visiting. The area is a little intimidating as there are lots of homeless people around. Loved everything about this hotel! From the friendliest staff, comfortable beds, spacious rooms and great location right next to the train station! 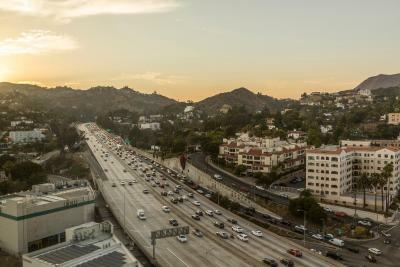 We were also lucky enough to get a view with the Hollywood sign which made our stay extra special! The lobby downstairs was fantastic as they had comfortable lounges for us to relax on before getting checked In. Highly recommend! !